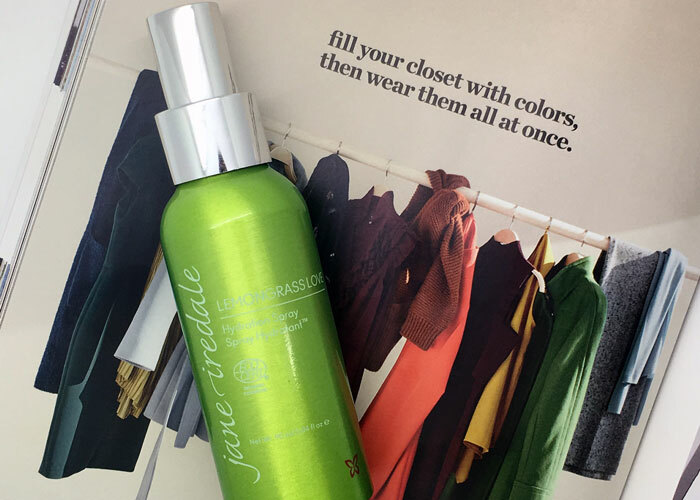 Of course it’s Jane Iredale Hydration Spray — and it’s now available in Lemongrass Love, a cheerful formula that instantly brightens your mood. Perfect for setting your makeup before a night out, Jane Iredale’s Lemongrass Love Hydration Spray freshens up your skin and delights the senses. This punchy formula, made with lemongrass oil, orange peel and lemon peel, offers an instant wake-up call to the skin, imparting a kiss of dew and aromatherapeutic effects. Obviously, if you’re sensitive to citrus oils, this isn’t the mist for you. If you’re concerned about phototoxicity, use this only at night (and do some research about phototoxic ingredients to see what you’re comfortable with). Fun tip: Mix the Hydration Spray on your face with a vanilla-based facial moisturizer for a creamy, citrus skincare treat. Your purchase of this oil also offers wonderful philanthropic benefits: 100 percent of the profits of Lemongrass Love Hydration Spray are donated to Living Beyond Breast Cancer, a nonprofit organization that provides programs and services to help people whose lives have been affected by breast cancer. So, I typically avoid mentioning products that hop onto the breast cancer awareness marketing campaigns. But, Jane Iredale has consistently remained authentic in its support of this cause not only from a profit standpoint, but also from a formulation standpoint. Clean ingredients that don’t perpetuate the cycle of illness — makes sense, huh? A clear, values-driven mission combined with clean formulas and smart packaging gets my attention. I’d repurchase and recommend Lemongrass Love to anyone looking for a happy, cheerful facial mist. If you’re not into lemongrass, consider “Smell the Roses,” which is the former Breast Cancer Awareness product in the Jane Iredale collection. It’s also earned a spot on my current “faves” list — so, so good. Do you use citrus-spiked mists? What products, if any, do you purchase in support of medical research? What are your other favorite toners and sprays? Tell me in the comments section!